Inman is interviewing top producers. Here’s Anna M. Lee, an agent with Moreland Properties. A whirlwind of fun and high energy. The opportunity to wake up every morning and have no idea what is in store. Will I get a call for a chance to list a house? Will I lose a property in a bidding war? What interesting new clients will I be working with? I think my job is part hunter and finder, therapist, communicator, forecaster, secretary, referral source and personal driver. All single-family homes and condominiums. Currently, I have an $11.9-million-dollar two-bedroom at the Four Season’s Residence listed and a $215,000 condominium that I closed two months ago. I have worked with first-time homebuyers in their late 20s to 80-year-olds who are downsizing and want low maintenance. In Austin, Texas, in 2010 when the market was just starting to do well again. 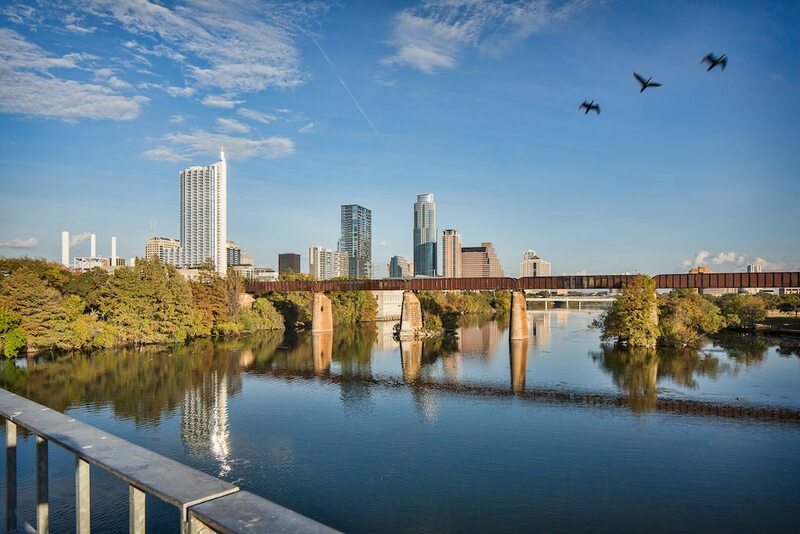 I was born and raised in Austin when our town was much smaller, and the main source of jobs were at the University of Texas at Austin or government jobs. Did you imagine when you were younger that you’d be a top-producer? Not in real estate. I never had any interest in being a real estate agent. I thought I would be an elementary school teacher, and my goal was to be teacher of the year. I started working when I was very young with babysitting all the way up to going door-to-door selling World Book Encyclopedias so my classroom would have their own set. I also studied to become a social worker and worked for the Austin Police Department as a crisis counselor. Little did I know that all of the different jobs and skills I had would one day be used to help me become a top-producing real estate agent. I work. I care, and I get up every morning and network. I answer my phone, as best as I can, when clients call. I help other real estate agents with questions they may have, and I share what I know when asked. Treating other agents with respect and having a good reputation really helps when you are advocating for your clients, either with the initial offer or during negotiations. Staying in touch with my clients over the years is also important. You cannot just get the paycheck at the end of the transaction and then hope they call you when they are ready to sell or refer. Our industry is large, and growing larger and more competitive. If you do not stay in touch with your client, me or another agent like me will. Every day I use my enthusiasm and excitement for residential real estate to drive me and make the most of my time. If there is down time, I listen to pod casts (Zig Ziglar and The Productive Woman are the ones I listen to the most) or books on tape when I am exercising or driving in the car. I read articles about real estate, the market, how to be the best CEO of your company and other related topics. Education is also a big part. I go above and beyond the required educational requirements to maintain my license because it keeps the information fresh, and I always learn something that I use. I work with my sellers and buyers mostly by myself and do all the work, from the paperwork to scheduling appointments. I do have another agent in my office, and we help each other out if their are conflicts with showings. What does your administrative support team look like, or do you have one? Moreland Properties has a great support team that I am able to utilize. We have a receptionist at the front desk, and two knowledgeable and quick data and graphic artists. My husband, Matthew, who took a chance 13 years ago and left his stable job and income to start a gelato and coffee shop in Austin when we had a 6-week-old and 2-year-old. He has since won the prize of top North American gelato and ranked in the top five best gelato in the world in a contest held last year in Rimini, Italy. He recently won the HEB Grocery Store quest for the best product with his gelato. I work a lot from home, so the first thing every morning is check my email and prioritize what I need to do first — usually what I dread doing; swallowing the frog makes the rest of the day so much easier. If I am at the office, I organize my desk and then start making the phone calls. I also use this time to walk around our office and talk with agents about my sellers’ and buyers’ needs and find out what their clients are looking for, as well. What’s the last thing you do before you leave? Organize my desk, clean up and make sure I say good bye to the receptionist and any other agent that is around. I don’t feel like a real estate agent is ever “off” since the iPhone and computer keeps us available. That being said, right before the lights are turned off I tend to read a fiction or non-fiction book. Candy Crush is also played, where I don’t have to think so much. 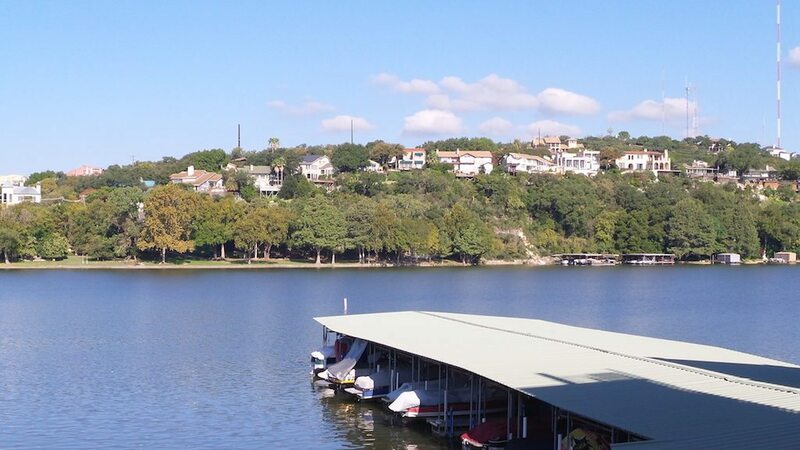 The running trail around Lady Bird Lake. I have run this trail since I was at Austin High and it amazes me how many folks are now using the trail for exercising. What areas of your business do you pay personal attention to? Networking, relationships and never assuming friends and family will use you as their real estate agent. I focus on everything from making sure I start with entering the data into our MLS all the way to the end of the closing. Right now, I can’t think of anything I outsource. I want to hire someone to take over my social media and keep my two websites up-to-date with blogs and information. I think the number of agents who are getting in the field because the Austin market is good is a challenge. However, I always remind myself that I too got in the market just five years ago. I overcome this by just focusing on myself and my clients. If I let my mind start drifting off into the worry zone, it does not do anyone any good. Running is the best, but I don’t always get the chance. I have found a great 10- to 15-minute meditation app called Headspace. One other thing I do when things feel out of control is remember: this, too, shall pass, and in five years, will all this really matter? Working for the police department I was exposed to a lot of horrible situations, and so I always stop and remember things could be worse. If you could change anything about your career path, would you? I wish I would have started earlier than five years ago. I was resistant to the idea of a real estate agent and felt I needed to stay on the social worker path. On the other hand, I believe everything happens for a reason and I have done what I needed to do. One thing I know for sure is that real estate is a great fit for me and I truly enjoy it. Are you a top producer who’d like to participate in our profiles series? Email amber@inman.com.